These adorable necklaces are perfect for all occasions. They are stylish and timeless. 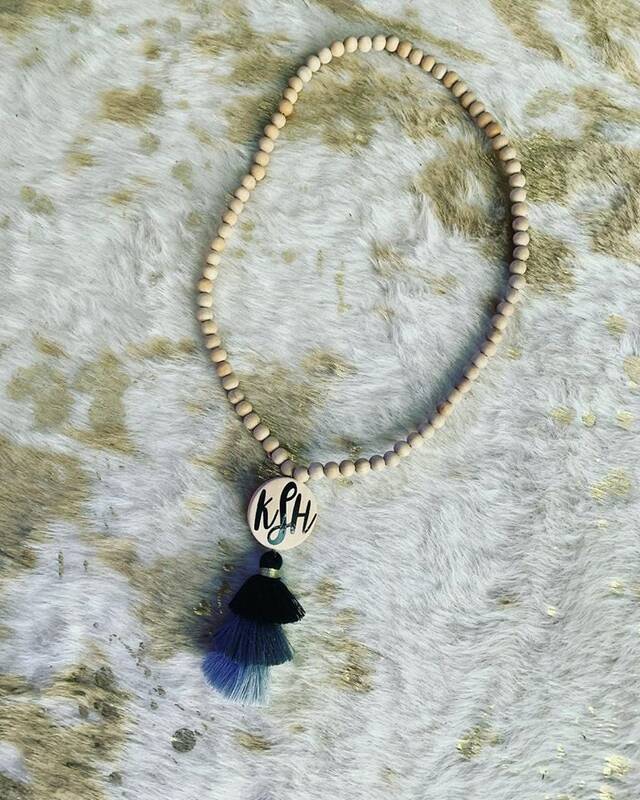 The necklace is made of a wooden bead loop and is approx. 13 inches in length. The monogrammable disc is a 1.5 inch diameter. 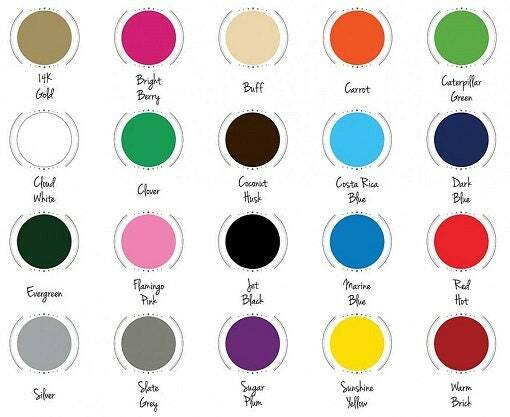 You can choose the color monogram. It is shown with a black monogram. The ombre tassels are approx 3 inches long and start in a black color, moves to a dark grey, and finishes with a lighter grey. Order yours today as these are limited stock.